What are the surface fluxes of methane (CH4) and carbon monoxide (CO) and how are they evolving in association with changing climate? Diane is a remote sensing scientist specialising in trace gas retrievals from satellite data, working as part of the UK’s National Centre for Earth Observation (NCEO). Her background is in physics, having completed an MSc. degree in Physics and Astrophysics at the University of Birmingham, before going on to complete a PhD within the Earth Observation Science group at the University of Leicester. 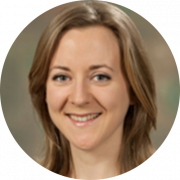 Diane’s PhD focused on developing methane retrievals in the shortwave infrared (SWIR) using earthshine spectra from SCIAMACHY, onboard ESA’s ENVISAT platform, and studying the detrimental effects of aerosols and cirrus clouds on retrieval accuracy. Following her PhD, she spent two years with the Remote Sensing Group at Plymouth Marine Laboratory, working with both visible and radar satellite data which gave her an appreciation of working with Earth observation data for a variety of marine science applications. She then returned to atmospheric remote sensing at UKRI RAL Space, where she is currently working on methane retrievals in the thermal infrared (TIR) from the Infrared Atmospheric Sounding Interferometer (IASI), onboard MetOp. The SWIR and TIR spectral regions each have advantages and disadvantages for retrieving methane and she is keen to explore how to combine these two complementary spectral regions to maximise the amount of information that can be obtained on the methane profile, particularly near the Earth’s surface where trace gas emissions peak. The objective of the PROMCOM project is to exploit synergy between TIR satellite measurements and newly available SWIR measurements from ESA’s Sentinel-5 Precursor (S5P) to resolve methane (CH4) and carbon monoxide (CO) distributions in the lower troposphere. Use of vertically resolved lower tropospheric distributions will significantly improve inverse modelling of CH4 and CO surface fluxes. S5P brings, for the first time, daily global, SWIR observations at 7×7 km resolution which will be combined with TIR observations to enable the potential of SWIR/TIR synergy to be exploited far more effectively than has previously been possible. Palmer, P. I., O’Doherty, S., Allen, G., Bower, K., Bösch, H., Chipperfield, M. P., Connors, S., Dhomse, S., Feng, L., Finch, D. P., Gallagher, M. W., Gloor, E., Gonzi, S., Harris, N. R. P., Helfter, C., Humpage, N., Kerridge, B., Knappett, D., Jones, R. L., Le Breton, M., Lunt, M. F., Manning, A. J., Matthiesen, S., Muller, J. B. A., Mullinger, N., Nemitz, E., O’Shea, S., Parker, R. J., Percival, C. J., Pitt, J., Riddick, S. N., Rigby, M., Sembhi, H., Siddans, R., Skelton, R. L., Smith, P., Sonderfeld, H., Stanley, K., Stavert, A. R., Wenger, A., White, E., Wilson, C., and Young, D.: A measurement-based verification framework for UK greenhouse gas emissions: an overview of the Greenhouse gAs Uk and Global Emissions (GAUGE) project, Atmos. Chem. Phys., 18, 11753-11777, https://doi.org/10.5194/acp-18-11753-2018, 2018. Siddans, R., Knappett, D., Kerridge, B., Waterfall, A., Hurley, J., Latter, B., Boesch, H., and Parker, R.: Global height-resolved methane retrievals from the Infrared Atmospheric Sounding Interferometer (IASI) on MetOp, Atmos. Meas. Tech., 10, 4135-4164, https://doi.org/10.5194/amt-10-4135-2017, 2017. Knappett, D., Siddans, R., and Kerridge, B.: Methane retrievals in the thermal and shortwave infrared from IASI, Proceedings of the ESA ATMOS conference, 8-12 Jun 2015, Heraklion, Greece, SP-735, 2015. Knappett, D., Boesch, H., and Monks, P. S.: Quantifying regional biases caused by aerosols and cirrus clouds in methane retrievals from SCIAMACHY, Proceedings of ESA Living Planet symposium, 28 Jun-2 Jul 2010, Bergen, Norway, SP-686, 2010.